Please speak out about the MOST serious issue that could set gifted education in GA back 60 years: The recent DOE guidelines that specifically allow districts to waive the certification and service requirements that ensure quality education for gifted students. If you can do one thing, immediately call and/or email the people listed below, asking them to demonstrate Georgia’s commitment to ALL students by restoring the certification and service requirements for our gifted (and ESOL) students. Specific messages for each group are organized in chart below. Please add your personal experience or message to your emails. Then share this email with parents, students, teachers, and other advocates, asking them to do the same. Please contact the Chairs of both the House and Senate Education Committees (see chart below). Then check to see if YOUR representative is on this committee, and if so, email him/her. · Under Georgia law gifted students are Category VI of Special Education. The decision to waive the need for specialized training for teachers of the gifted suggests that only this type of exceptionality does not require specially trained teachers to ensure students are challenged appropriately. Please contact the State Board members listed (see chart below). Then email the member that represents your congressional district. · Like ALL of our children, gifted and ESOL students have a right to an education that will enable them to reach their potential. · The gifted endorsement is the way we ensure fidelity to the law in the identification process (which the GaDOE has upheld cannot be waived). · The original May 3, 2017 guidelines included gifted and ESOL certification and service requirements after thoughtful consideration by a committee where “a number of key stakeholders were involved in formulating the decisions and guidance supporting ‘PQ’ in Georgia including the State School Superintendent’s Teacher Advisory Council, the ESSA Professional Capacity Working Group, the Georgia Professional Standards Commission (GaPSC), and critical program staff from the GaDOE’s Offices of Teaching and Learning, Federal Programs, School Improvement, and Policy/ Charters” (GaDOE email to all districts, May 3, 2017). · The DOE states that the reversal in June was a simple correction of a mistake they made in the May 3 document, rather than a change in position. However, that seems unlikely given the list of key stakeholders involved and the originally published table of requirements which was detailed and explicit. · The gifted and ESOL rules already provide for needed flexibility while assuring that qualified teachers meet the needs of gifted and ESOL students. Also very important: Please provide feedback on the Georgia ESSA application draft, where they have failed to set out a plan to improve gifted education, even though ESSA requires a plan to do so. The link in the table below goes to a survey from the Georgia State Department where you can reply to many areas of the new ESSA plan, but specifically Questions 3, 4, and 11. On page 1, Disagree or Strongly Disagree with questions 3 and 4, as you see fit. On page 2, scroll down to 11) Effective Instruction, and share the information to the right. The Georgia Association for Gifted Children is asking parents, students, teachers, gifted coordinators, administrators, superintendents, boards of education, RESA staff, college/university partners, legislators, and policy makers to speak out now about how (1) the new GaDOE guidelines and (2) the current draft of the ESSA (Every Student Succeeds Act) state plan are changing the course of 60 years of gifted education in Georgia. 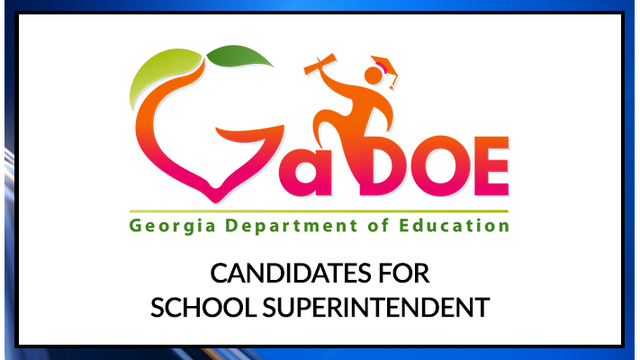 The new GaDOE guidelines make the gifted endorsement and gifted services optional for districts, and the draft of the ESSA state plan offers nothing in response to the ESSA directive to improve gifted education in Georgia. We only have until JULY 14 to respond to the Georgia ESSA application, and we have a similar timeline for advocating for the need for the gifted endorsement. It is urgent that we make our voice heard for the next 10 days. In language that is similar to the ESSA requirements for the SEA application, state law requires the provision of teachers who are professionally trained to meet the needs of gifted students. The gifted endorsement provides this training. The law includes specific requirements related to identification of gifted students using multiple criteria. If training teachers of the gifted is waived, educators would not have the key understandings, taught in the gifted endorsement courses, to use multiple criteria effectively to identify potentially gifted students. ESSA requires the state educational agency to include in its application and resulting guidance documents a plan to improve the skills of teachers for both identifying gifted and talented students and providing instruction to meet their special needs. These are the important skills that are addressed in our Gifted In-Field Endorsement programs, which are based on the best-practice evidence of national standards. On page 62 of the ESSA application, the “plan” is simply a brief description of regional meetings and the multiple criteria that we have been implementing for years. Allowing Georgia school districts to waive specialized training for teachers of gifted and talented students contradicts this clear directive from ESSA. We need to engage gifted education experts to revise the ESSA application to create a plan to IMPROVE gifted education in Georgia. Who is in your community or family who would speak up for gifted education? Please share this email with every parent, student, teacher, gifted coordinator, administrator , superintendent, board of education member, legislator, and policy maker, asking them to join us in speaking up for gifted and talented students in Georgia. Our ESOL students are in a similar crisis, as the guidelines for the ESOL endorsement and services have also been made optional. We care about ALL of our Georgia children, and there is strength in numbers. Please consider advocating for our ESOL students as well. We are partnering with Georgia TESOL to advocate for gifted and ESOL students. Thank you for speaking out NOW for our gifted and talented children in Georgia! Because this has been signed into law, this is now an active law that school systems must consider for this year's valedictorian and salutatorian. No local school system that receives funding under this article shall exclude eligible high school students taking one or more dual credit courses pursuant to this Code section from eligibility determinations for valedictorian and salutatorian of a participating eligible high school; provided, however, that this shall not apply to a high school student who moves into the local school system after his or her sophomore year and has not taken any courses on site at the participating eligible high school. Please contact our U.S. Senators to advocate for funding for the Javits Program! Last month, the Administration proposed cutting $9 billion from the United States Department of Education. This includes funding for gifted and talented children. We anticipate the Administration will release their final, detailed budget by the end of May. To protect funding for the Javits Program we must act now. They need your help in rallying support from other members of the Senate. It’s imperative that your Senators publicly support the Javits program and prioritize the program’s funding in their requests to the Appropriations Committee. Please ask your two Senators (David Perdue and Johnny Isakson) to join Senators Grassley and Casey and sign this bipartisan letter to support the Javits program. You can also call 202-224-3121 to be directed to an operator at the United States Capitol switchboard who will connect you with the appropriate offices in your state. Thank you for advocating on behalf of all gifted and talented children! GAGC Executive Assistant Kathy Kennedy represents GAGC at the Governor's Office for Gifted Education Month in Georgia! The Education Reform Commission's recommendations for a new funding formula for education is likely not to be on the Georgia legislative agenda this year, as Governor Deal is focusing on chronically under-performing schools. See the AJC article for more information. This proclamation emphasizes the importance of developing the potential of Georgia’s children in the areas of academics, creativity, leadership, and fine arts. It recognizes that our teachers and educational leaders work together with our community to provide the key learning experiences that engage and inspire our students. Finally, it calls for all of us to join in recognizing the unique needs of gifted young people. In honor of Gifted Education Month, you may want to invite your government representatives, Board of Education members, superintendent, school administrators, teachers, community leaders, parents, and local news/newspaper reporters to see the many ways gifted education impacts all students in your district. This can be a time of advocacy for gifted students and for gifted education, emphasizing the importance of challenging all students to reach their potential. Governor Deal appointed a Teacher Advisory Committee to provide feedback about several of the Education Reform Commission's recommendations. That report is now available at this link: Teacher Advisory Committee Report. The Committee supported "Move On When Ready" for elementary students, providing suggested guidelines for implementation. The members also suggested differentiation possibilities for pre-service teachers. How do you celebrate Gifted Education Month? The May Howard Gifted Team from Savannah-Chatham Public Schools would like to share our Gifted Education activities with you. We chose to create an Amazing GEP Race for our gifted students at May Howard to celebrate Gifted Education Month proclaimed by Governor Nathan Deal. The students LOVED it!! There were clues for them to find all over the school and challenging activities for them to complete as they “raced” to be the first team to finish. Please use the link below to see the video of our Amazing GEP Race. We enjoyed it as much as the students did!! The Education Reform Commission met today to discuss all of the subcommittee's recommendations, including the Funding Formula Committee's recommendations about the gifted weight. They presented the weight of .3231, described in the November 14 update below. That is good news for gifted education! For the full narrative and presentation of today's Education Reform Commission Meeting's recommendations, please go to this link: https://gov.georgia.gov/meeting-10-materials-november-19-2015 . The Funding Formula Committee of the Governor’s Education Reform Commission met on November 12, 2015. They continued to propose a gifted weight that would ask the state to invest the same amount, or slightly more, in gifted education. On page 4 of the narrative draft, the committee gave a clear rationale about the need for gifted education, citing the NAGC rationale for gifted. The notes from page 4 are pasted below. The formula under consideration by the funding committee proposes a weighted funding amount for students identified as Gifted. Gifted weighted earnings for 1 segment in the FY16 QBE formula = $237.98. Students statewide were funded for an average of three segments. For three segments in QBE the student earned $713.94 in FY16 QBE. The current proposed model weight for Gifted is 0.3231. Gifted weighted earnings for 1 student in proposed formula = $750.20. $129M. Gifted total funding weighted earnings in the proposed formula are $133,444,875. Developing and nurturing high performance supports the future prosperity of our nation, state, community, and of individuals. Most gifted students are not developing to the level their potential would indicate is possible. In the normal distribution of ability and/or of achievement, 68% of students score near the mean; students far from the mean require different educational experiences to develop optimally or at all. All children deserve the opportunity to learn something new each day. Schools have a responsibility to meet the learning needs of all students. Gifted children are found in all income, cultural, and racial groups; gifted children may also have one or more disabilities. Most teachers say their brightest students are bored and under-challenged. Most teachers have no training in working with gifted learners. In classroom observations, most learning activities are not differentiated for gifted learners. Gifted classes often require additional materials, supplies, and lab equipment for in-depth study that results in students producing projects/products that demonstrate real-world application of concepts. Teachers must be specifically trained to differentiate instruction at high levels, to fulfill their teaching roles of facilitator and guide, and to accommodate the variety of giftedness that students bring into a classroom. Additional funds are required to allow students to participate in challenging competitions that require complex thinking and high level problem-solving abilities. Curriculum, instruction, and assessment must often be modified or developed to meet the needs of the gifted student. *Rationale taken directly from the National Association of the Gifted at Rationale for the Gifted: http://www.nagc.org/sites/default/files/administrators/Rationale%20for%20Gifted%20Ed.pdf October 30, 2015. The Funding Formula Committee from the Governor’s Education Reform Commission is considering a new way of funding education. Instead of districts earning funding for 6 segments of instruction to equal 1 FTE, they are considering a student-based funding formula that involves a base student amount and additional funding for weighted student characteristics, such as special education, ESOL, or gifted. The members of the Funding Formula Committee are continuing to decide on actual weight amounts. The initial “placeholder” number for gifted was quite low, but they proposed a higher weight at their Sept. 23 meeting. We are hopeful at this time that the committee may decide on a gifted weight per student that would result in the state funding equal to the same amount of gifted funding to districts as the present QBE system earns. The funding formula committee will be meeting on October 28, 2015 to discuss the revised weights, including the new proposed gifted weight. We will keep you posted on this website and if needed, by contacting GAGC members as this process continues to unfold.